INFASHIONLOVE.COM: Liz Earle Botanical Essence Eau de Parfum N15! As far as summer fragrance goes I like either fresh scents during the day and heavier for the evening. 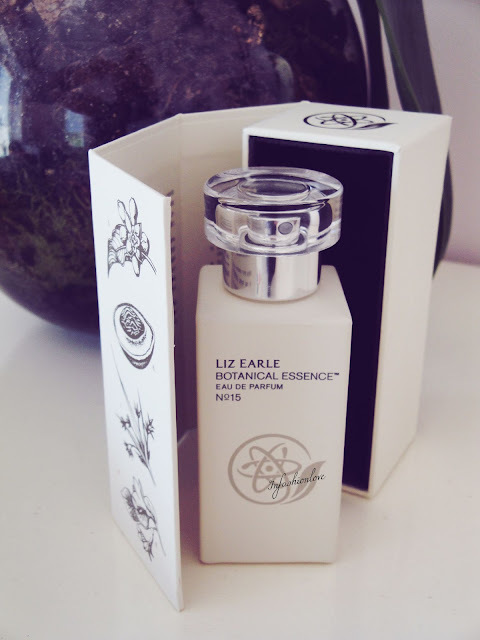 Liz Earle Botanical Essence N15 is an evening perfume. 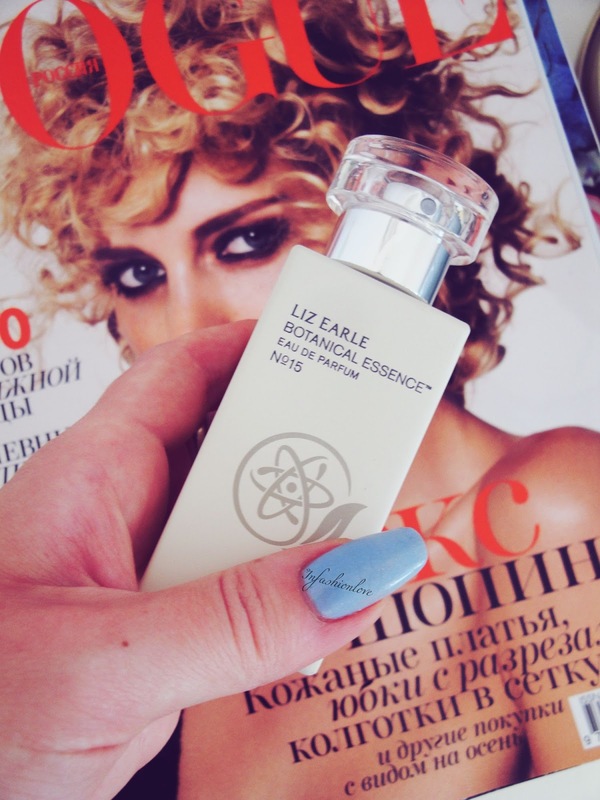 This fragrance has such a depth to it, it's beautifully warm and sensual, hence why I'd find it over powering during the day when it's really hot. A beautiful concoction of fifteen most precious botanicals are encapsulated in this sleek looking bottle: Bergamot, Virginian Cedarwood, Patchouli, Guaiacwood, Sandalwood, Tonka Bean, Cypriol, Siam Benzoin, Damask Rose, Elemi, Cinnamon Leaf, Clove Bud, Pink Pepper, Bourbon Vanilla, and my beloved Vetiver! 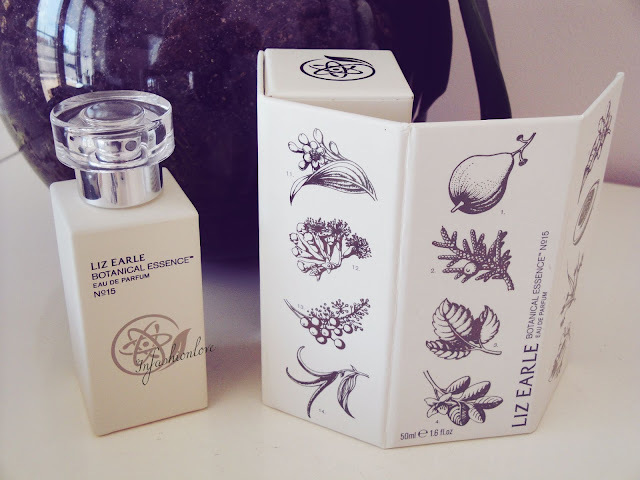 And for the first time I'm also keeping the box, which is great for travelling - I love the illustration of all the notes that went into this fragrance.